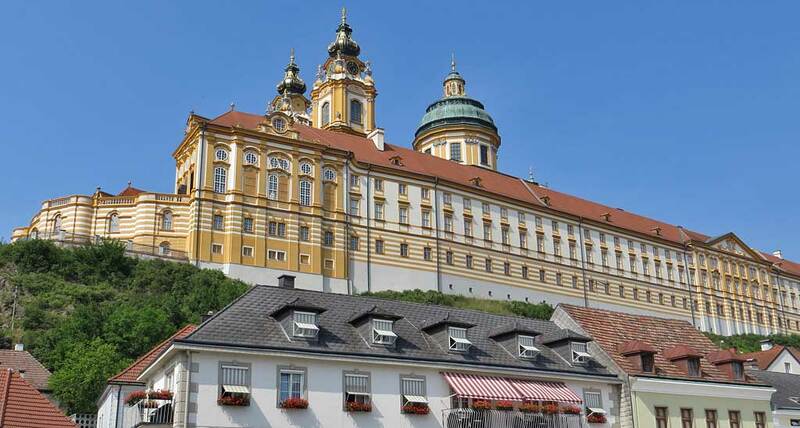 The reason people visit Melk is to see the famous Benedictine Melk Abbey. 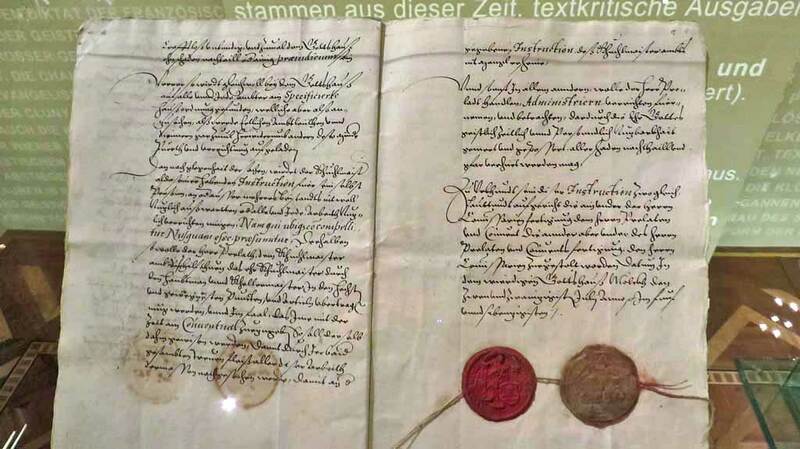 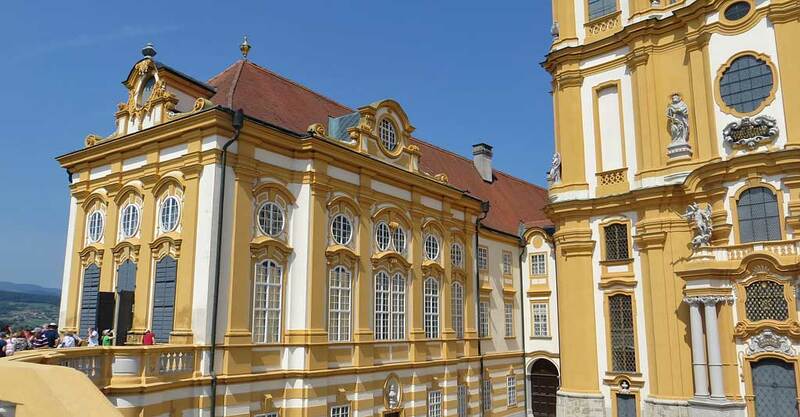 The Melk Abbey museum displays scriptures and and musical scores that are nearly a thousand years old. 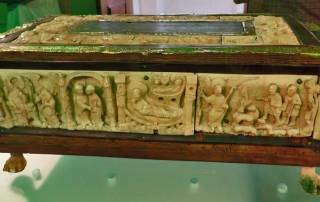 See the Margravine Swanhilde’s altar in the museum. 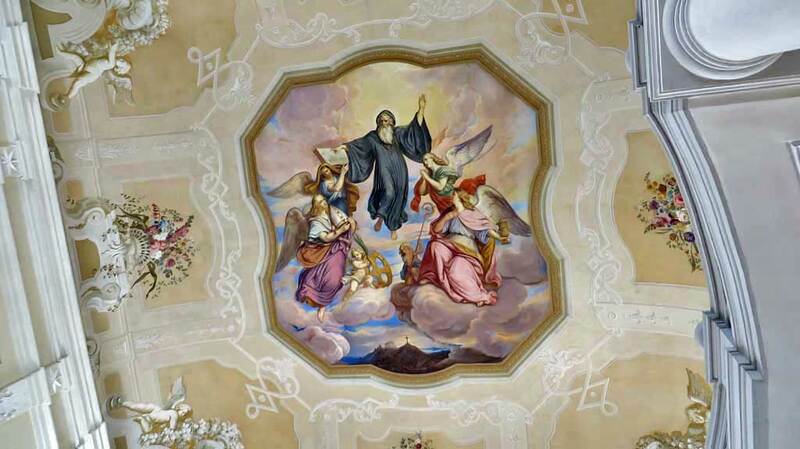 The Melk Abbey Marble Hall has vaulted ceiling painted by Paul Troger in Renaissance style. 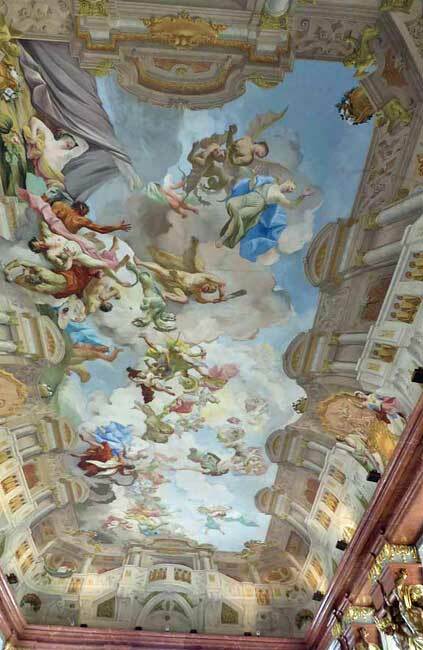 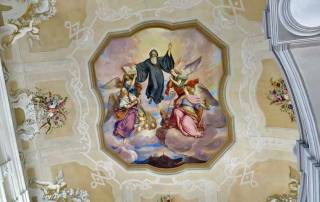 Paintings also cover the ceiling of the Melk Abbey Library. The magnificent Melk Abbey Church is right beside the library. 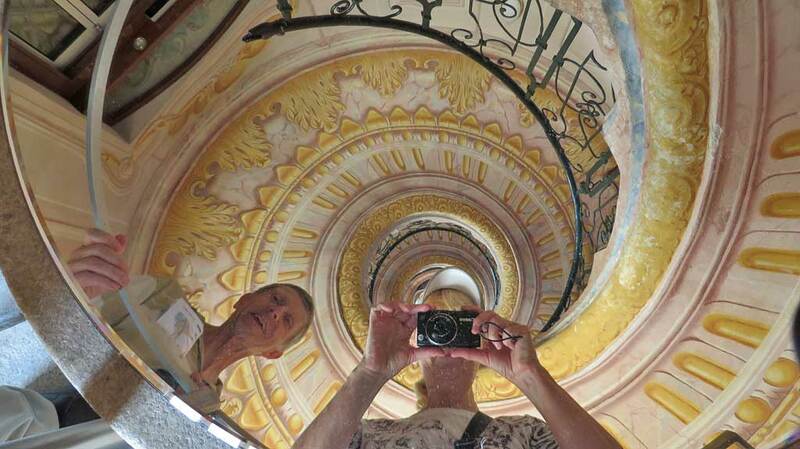 Don’t forget to look back down the spiral staircase when you walk between the church and the library. After your Melk Abbey tour, stroll the streets of the small village of Melk that snugs up against the base of the abbey. 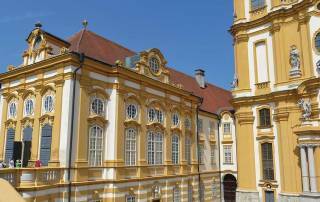 Take a cruise from Melk through the UNESCO Wachau Valley and visit Durnstein Abbey. 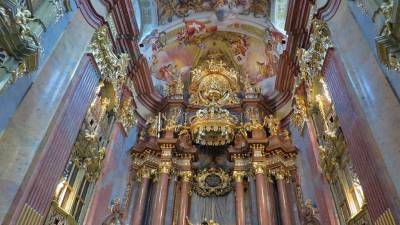 You can combine a visit to Melk Abbey and Durnstein Abbey on the same day. 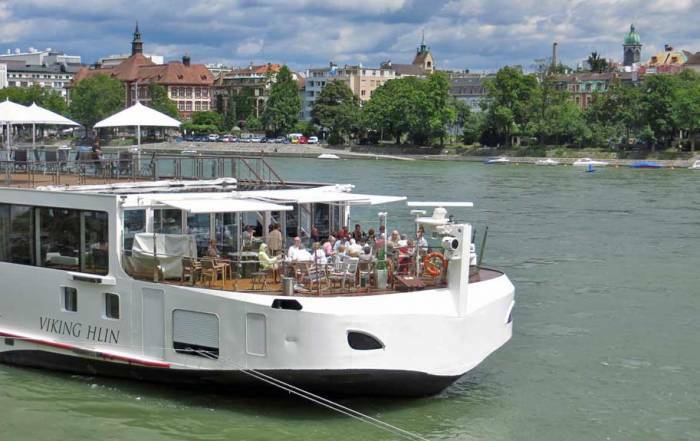 The DDSG Danube Blue and Brandner both cruise the Wachau Valley on a daily basis. 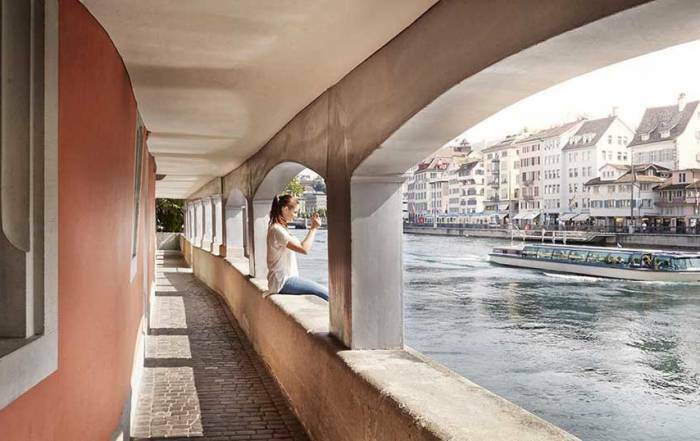 Take the riverboat one direction and then take train on your return trip. 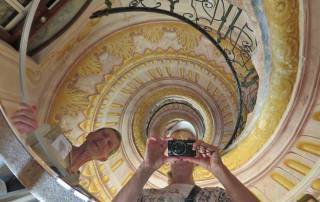 You will find that Melk weather is similar to Vienna’s. 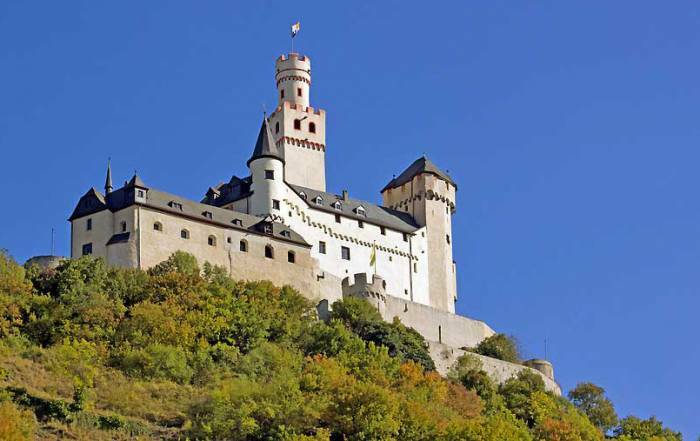 The weather is influenced by the rolling hills north of the Alps and by the seclusion of the Wachau Valley. 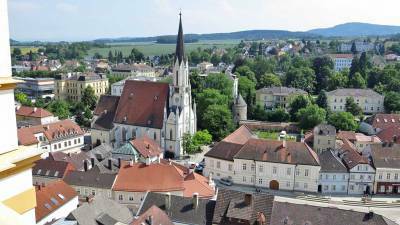 June – August has average highs of 7 5 F (24 C) and lows of 60 F (15C). 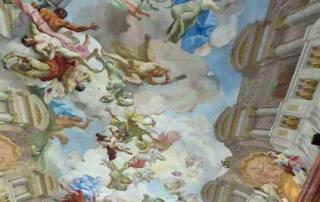 Rainfall is light and spread evenly throughout the year. 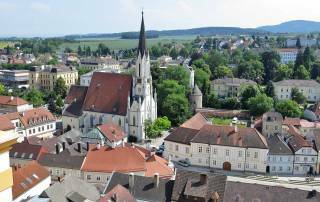 Snow falls from November to March and average lows are a few degrees below freezing during the winter. 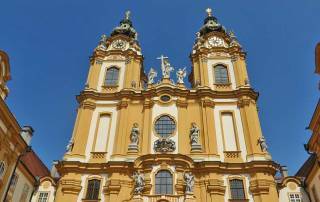 The most common way for people to get to Melk is on a standard stop for a Danube River Cruise. 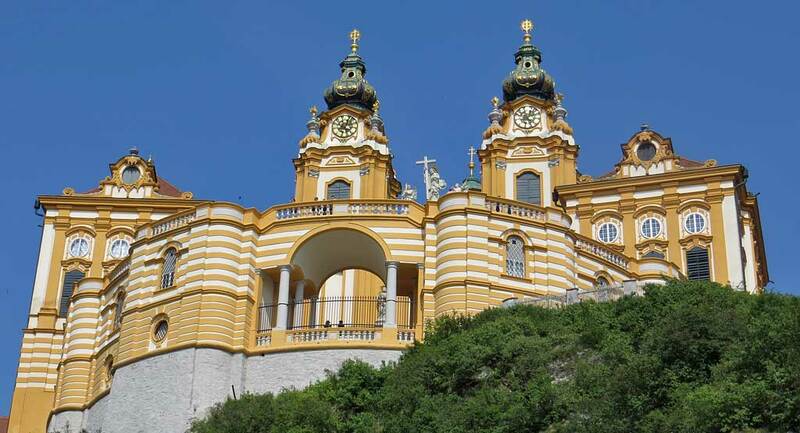 Melk is at the downstream end of the scenic Wachau Valley on the Danube River. 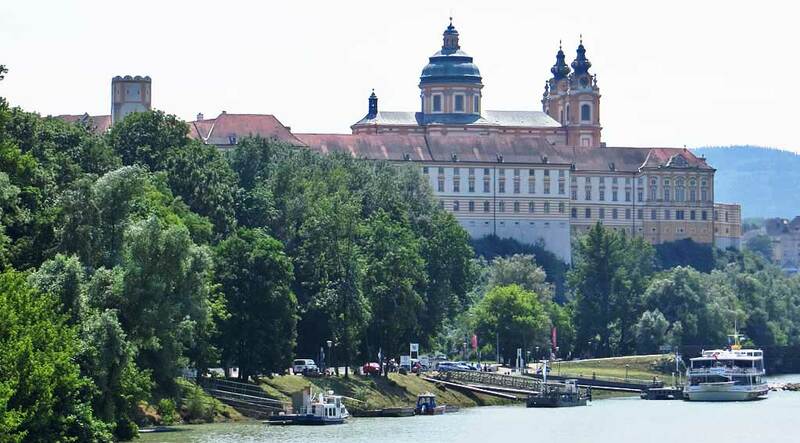 River cruises stop at docks right beside the Melk Abbey. 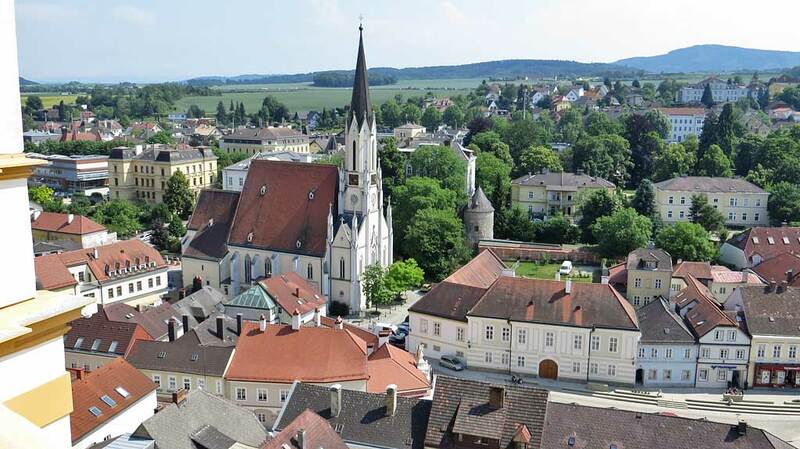 The Austrian Rail System (OBB) offers many ticket options for rail transport to Melk. 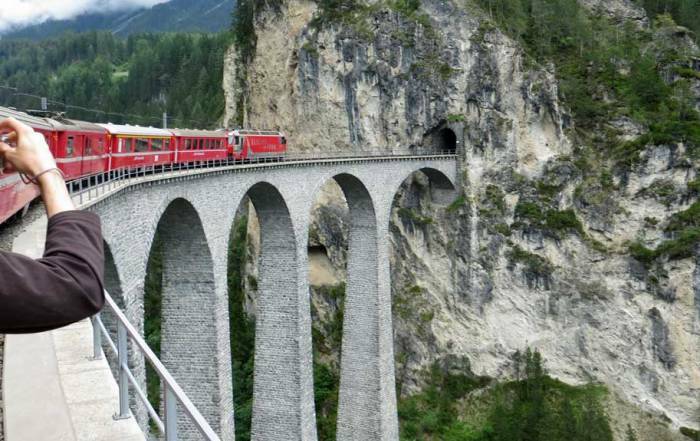 In addition to participating in Eurail passes, Austria also has an Einfach-Raus ticket. 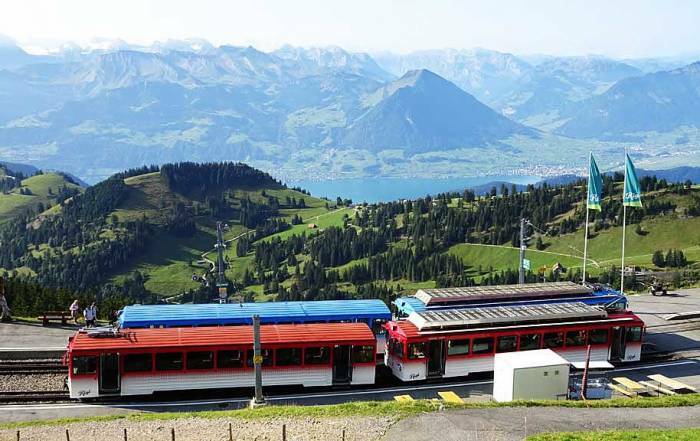 The Einfach-Raus ticket offers single day rates for small groups, similar to the Bayern Ticket in Germany. 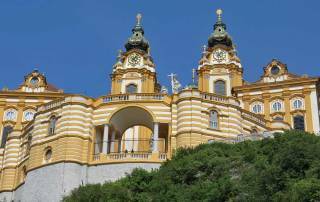 Vienna is about an hour away from Melk, so a vehicle rented from the Vienna International Airport provides another option to access the area. 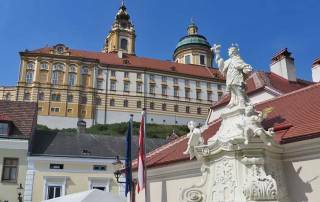 You can also take a Day Trip to Melk from Vienna. 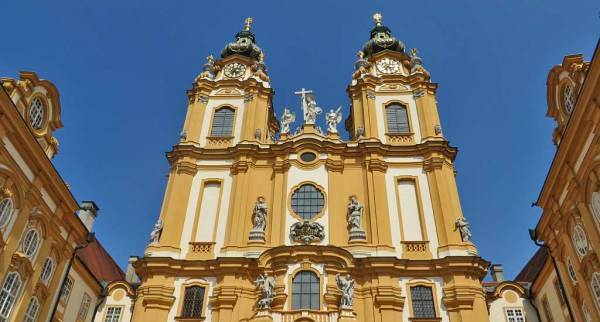 About 5,000 people live in Melk. 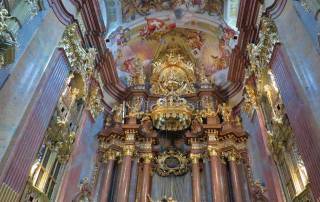 The main attraction is Melk Abbey – a Benedictine abbey known in German as Stift Melk. 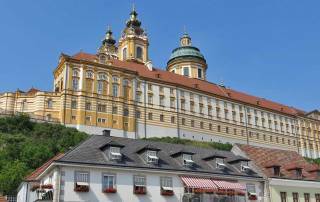 Melk Abbey was founded in 1089 AD but most of its present design was created in the 1700s. 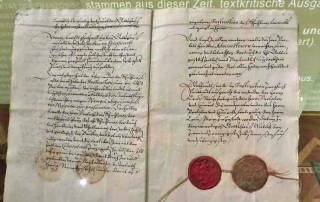 The Melk Abbey has an extensive library of ancient texts. 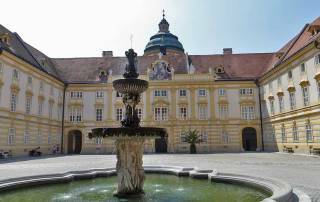 The abbey survived the reign of Franz Josepp II, the Napoleanic Wars and World Wars I and II. 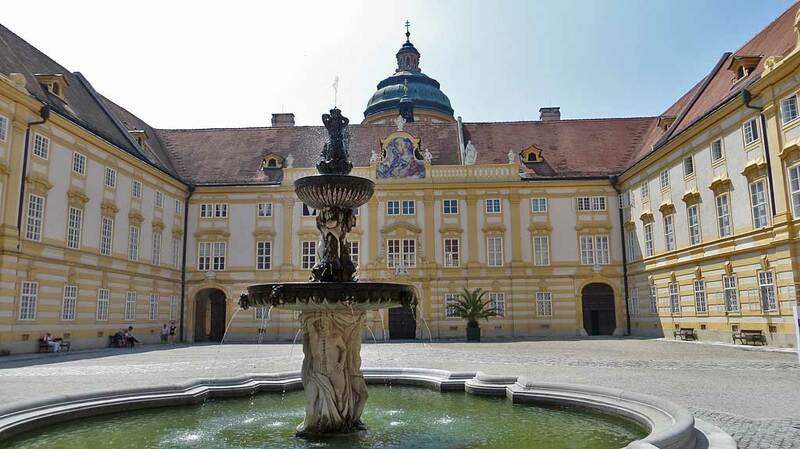 Today Melk Abbey houses many ancient artifacts and is a functioning school with nearly a thousand students. 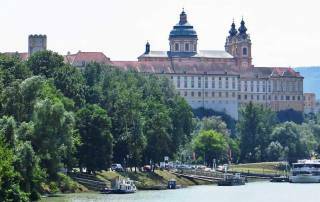 The abbey is a tremendously popular stop for Danube River Cruises.